I can not believe just how much I have progressed with my crocheting since completing the beginners and intermediate crochet course on line. I think I have already started to pick up some crochet bad habits, like suddenly acquiring random balls of wool simply because because I like the colour! 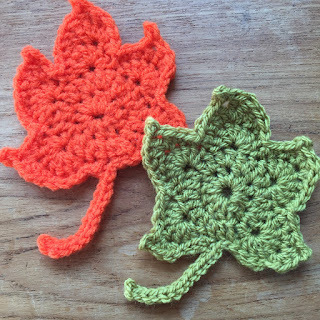 Thanks to Julies Creative Lifestyle blog for sharing her find of an Autumn Leaf crochet pattern. 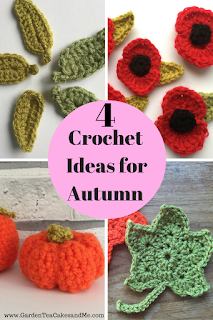 I did have to convert the pattern into UK crochet terms but that is pretty straight forward as there are many free conversion charts on line. I did learn a number of new stitches for this creation including the picot stitch, used to create the pointed edges of each leaf. 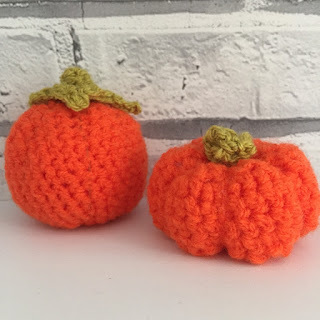 I made these to prove to myself I could create something that was more of a crochet challenge. I have since seen these leaves used to create an Autumn Wreath, another crochet project to add to my every growing list. 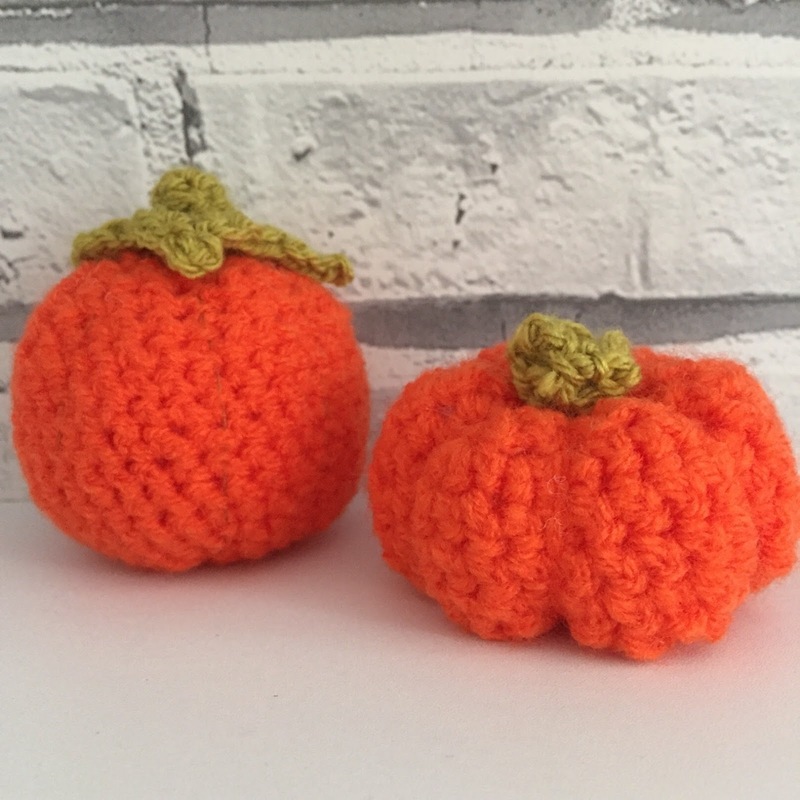 Yes I joined in with the Halloween celebrations by creating myself a crocheted pumpkin - much easier and less messing than carving a real pumpkin. A pattern and tutorial for this pumpkin can be found on the Bella Coco blog. 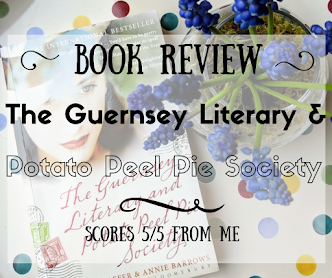 Quite pleased with how this turned out although I do think is slightly resembles a satsuma! 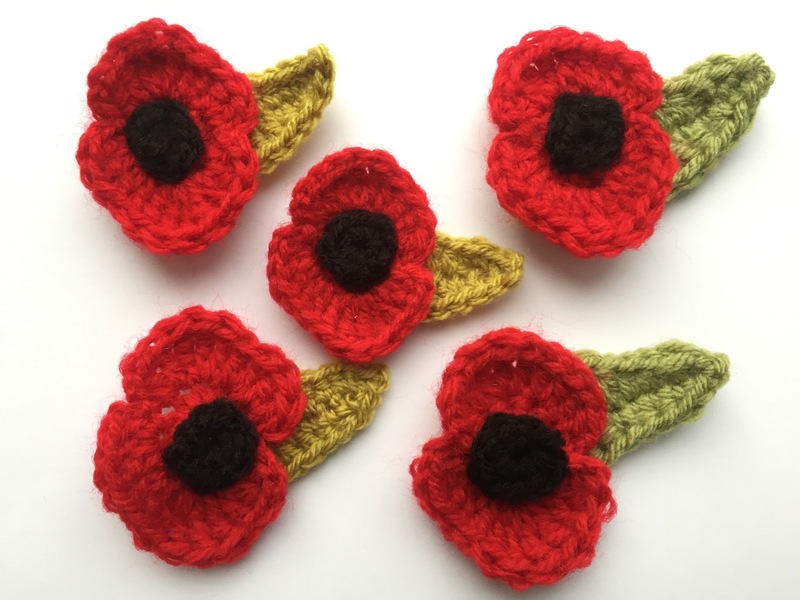 For the last few years I have admired the beautiful crocheted poppies I have seen many people wear. So I was delighted that this year I could make my own, in fact I made a number of them for members of my family. My niece proudly wore hers as she marched with her Brownie pack in our local Remembrance Sunday parade. 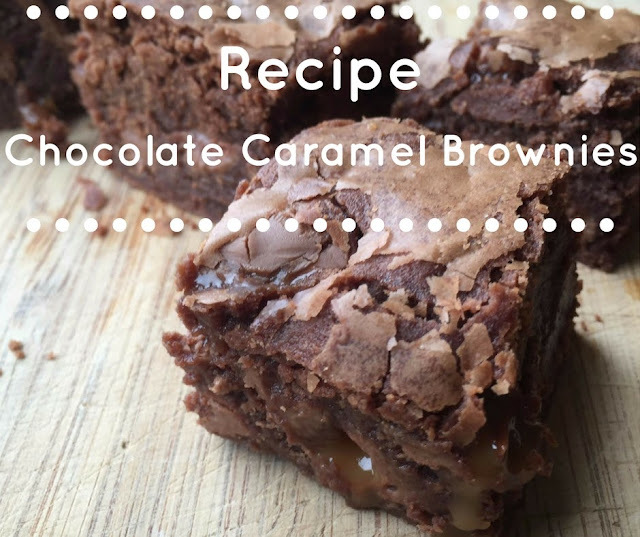 The pattern from Bella Coco was easy to follow and the full video tutorial is in both UK and US terms. Another idea for the leaves is to use them to create an autumn display or wreath. Although this pattern was listed as a beginner, I did find it tricky to understand and I am pretty sure I made one or two mistakes. The yarn suggested using bulky yarn, which I believe in the UK is chunky, so that is what I used. Now I realise that I made a mistake, clearing I should of used a lighter wool. The garment is quite structured in its shape, I think it may have draped off my shoulders better if I had used a lighter weight yarn. Lesson learnt! I will still of course wear my cover up even if it is around the house - it is certainly warm and I do love the teal colour. Whilst I have been crocheting away, I have been using the Clover Amour crochet hooks that I had as part of the learning to crochet course. They are brilliant, so comfortable to use even for prolonged with there soft coated plastic handle. Some of the projects I have worked on above required different sized hooks, so I needed some more. Having looked around in craft shops and on line I soon appreciated there is a vast selection! I have a chunky 9mm Knit Pro hook from Minerva Crafts which cost £3.09, also with a soft coat plastic handle but in a different shape to the Clover hooks. Still quite comfy though. With more crocheting patterns waiting to be tackled I realised I should probably get myself a set of crochet hooks. I definitely wanted the soft plastic handles and ideally Clover Armour hooks, but looking at the price I could not justify paying £39.29 a set of 8 Clover hooks. 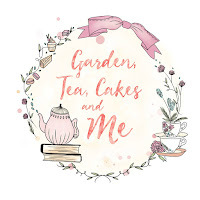 I think this comes back to the cake decorating hobby I had, I paid a lot of money for some of the top branded equipment when I first started and ended up using the items a hand full of times. 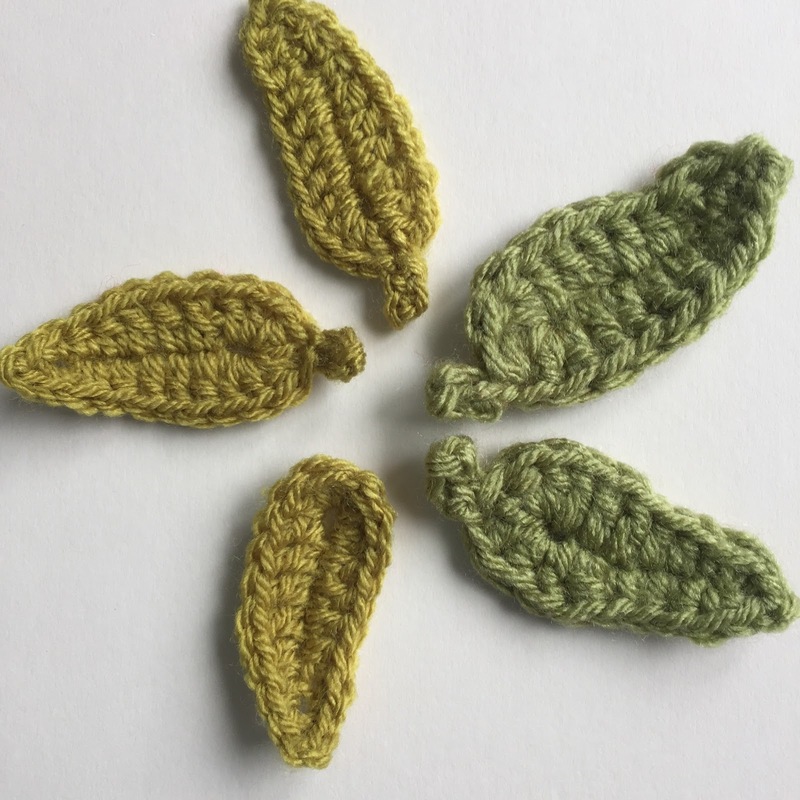 So I did not want to repeat this mistake with my crocheting, having looked around I settled on ordering the set of 9 CCINEE plastic coated hooks for just £4.99, if they turned out awful I could send them back. Actually they turned out great, I have used a number of them and the handles are comfy. I have since found one of the metal hooks had the smallest area of a rough edge, but actually once I used it smoothed of. In a few years time if I find myself still crocheting I may upgrade this set to the Clover hooks, but for now I am more than happy to use them. My crocheting creations have been influenced by the season, though I probably should of starting making them sooner. I future I need to be ahead of the game to ensure my crocheting projects are finished and ready to be enjoyed for the occasion. 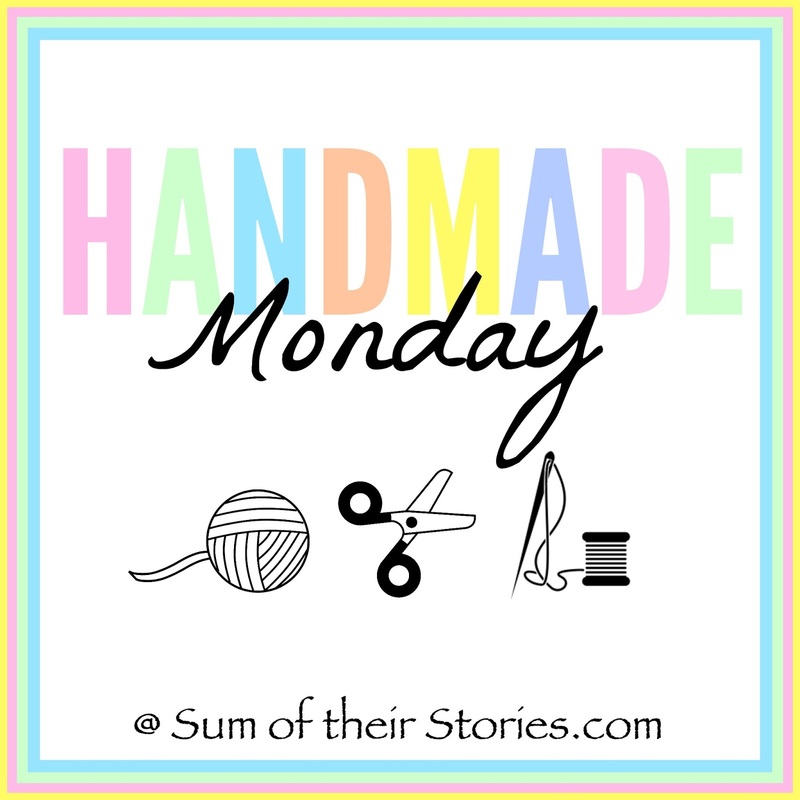 I am joining in the Handmade Monday linky at Sum of their Stories. 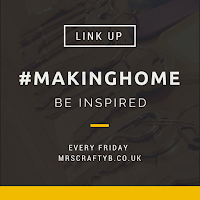 If you have been crafting why not join in too. If you want to see more of just my crafty creations follow me on my Instagram craft account ShropshireCrafter. Do you have any crochet supplies or pieces of equipment you think are a necessity? I really am impressed with your progress, you are certainly not a beginner now. Love all of your makes, impressive poppies. Australia does have a magazine called 'The Woman's Weekly' - chunky is not a term we would normally use - bulky, yes. I do love that teal colour! I have only ever done basic crochet, think granny squares, but I have totally forgotten it all. Seeing your pretty leaves and lovely top makes me want to relearn and expand what I once knew. Well done I am impressed. I lov to look at crochet items, always dream of one day understanding the complexities of using a hook and yarn and on my 'To Do' list at some point. 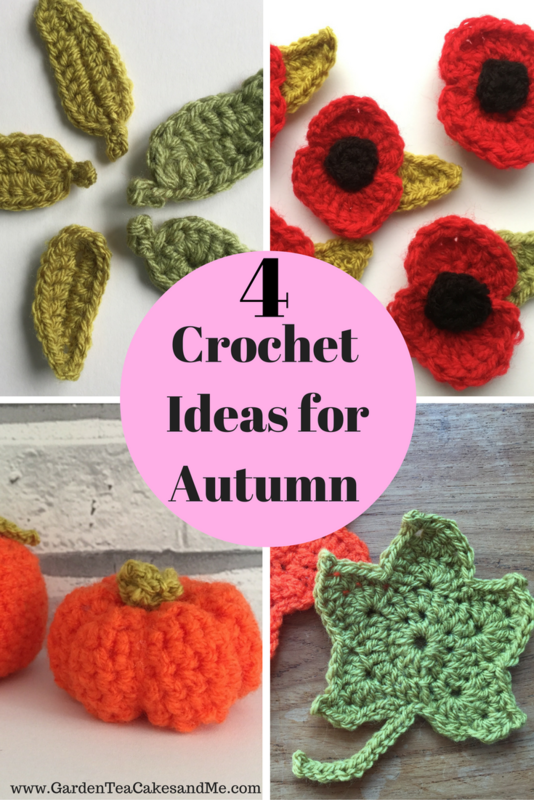 I love crochet, it's my go to if I want to make something quick and easy that I can do whilst watching (or listening) to the tv. It's only got a few basics to learn and then the rest is just variations on them. Don't worry about mistakes either, crochet is pretty forgiving! 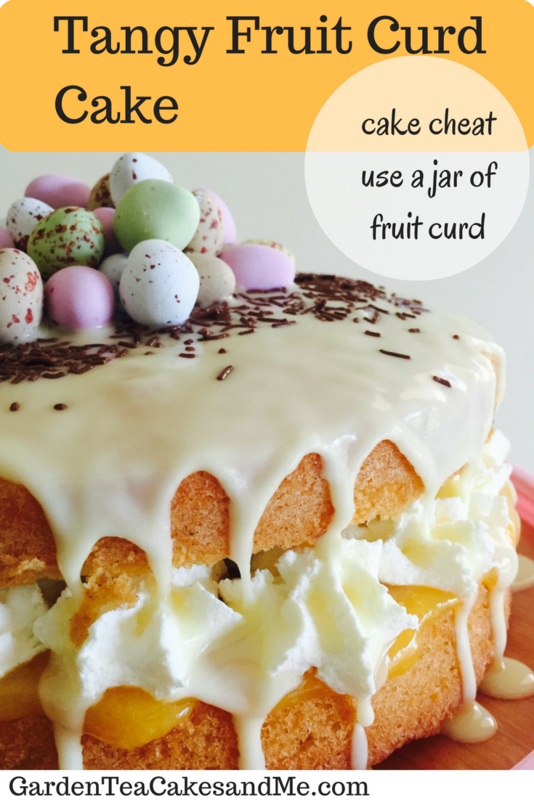 I know some people get on best with written out patterns, some people like a chart and others (like my Nan when she was still alive) can recreate something just by looking at a photo!